Love hummus? Then you have to try this tangy, creamy curried red lentil dip. I love it as a dip, a dressing, or straight out of the fridge on a spoon. You know how much I love chickpeas, and you know how much I love hummus, but today I’m going out of my chickpea comfort zone with this red lentil recipe! 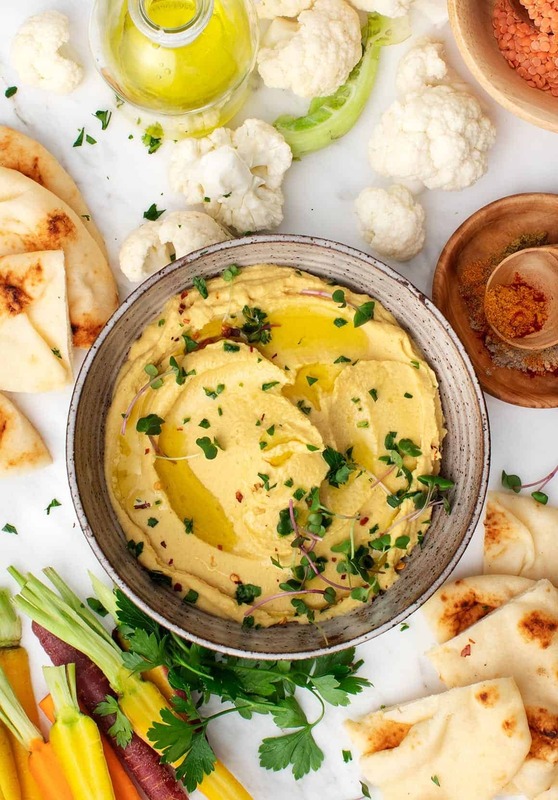 A hummus-like dip, it’s creamy, tangy, and nicely spiced with turmeric and other curry spices, because sometimes you run out of chickpeas, but you still want a dippable snack. We’ve been enjoying this lentil dip with veggies, naan, crackers… I’ve also been caught sneaking spoonfuls straight from the fridge. The first time I made this, I tried it in a food processor, but I was able to get the red lentils to be much creamier in a blender. See up there? So luscious. This dip is best straight from the blender, although it’ll keep well in the fridge for 4 to 5 days. If it gets a little thick, stir in some water before serving. 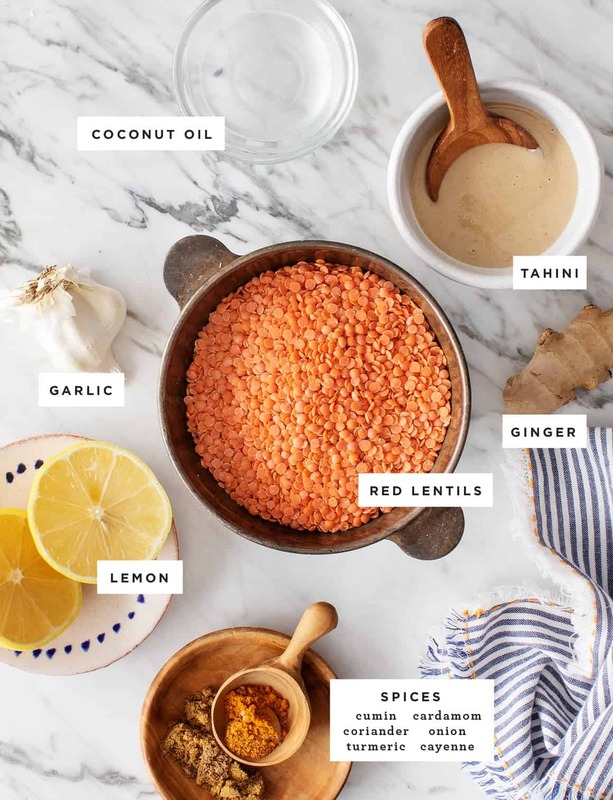 Here’s another tip: when you have just a little bit of red lentil hummus left at the end, thin it to a drizzle-able consistency and pour it over a roasted veggie bowl with some quinoa. That was our quick dinner a few nights ago, and the lentil dip really pepped up an otherwise boring bowl. 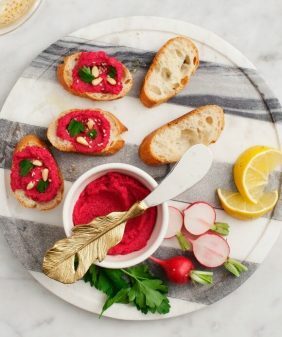 And if you love hummus, you’ve gotta try this beet recipe and this version with butternut squash next! Bring a medium pot of water to a boil and add the lentils. Reduce to low and simmer, covered, until tender, about 15 minutes. Drain and let cool for 15 to 20 minutes, then transfer to a blender with the tahini, lemon juice, coconut oil, garlic, ginger, cumin, coriander, turmeric, cardamom, onion powder, cayenne, salt, and several grinds of pepper. Blend until creamy. If the mixture is too thick, add water, 1 tablespoon at a time, to blend into a creamy consistency. Taste and adjust seasonings. Chill until ready to use. Serve with naan or cut vegetables, as desired. omg! can’t get better than thins right? will prepare asap! YUM! Can I sub olive oil for coconut oil? Yep – I like the bit of coconut taste with the curry spices, but olive oil would work fine! Sounds great! Do you have a favorite tahini brand? I have one that I’ve used a few times and don’t like; it’s really bitter, so I’m now always averse to recipes that call for it (which is a lot!). Or, if you’re not comfortable listing a brand, any tips on what to look for in buying a high-quality tahini? 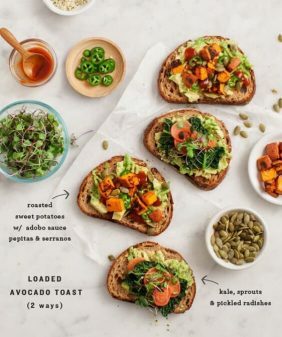 Hi Gina, I love Seed + Mill (I think it’s only regional to the NYC area), but I also like Cedar’s which can be found at most grocery stores and it’s what I tested this recipe with. I agree, there are a few types out there that are super bitter. Hope that helps! Soom tahini is amazing and it is a women-owned company. It has taken my hummus up a notch. I just tried it … And this is soooooooo good !!!!! I made this, loved it, and then used it another way: I added some to a homemade vegetable lentil soup which needed ‘something’ – it worked wonders! The addition of a few tablespoons of this hummus-y delicious dip made the soup thicker and richer, as well as more nuanced and flavorful. Just passing this idea along, although I’m sure I’m the last to try this. 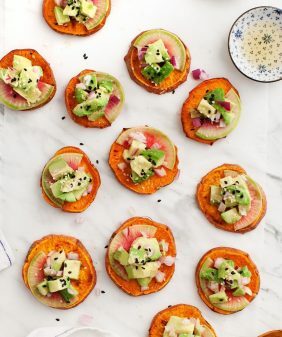 I plan to keep a stash of this in the fridge for double duty – delish! Wow this looks so good! I will be trying it this week for sure👍😉. Love the recipes and think they are all great. I would like to also share my own healthy recipes as well if anyone would like to take a look. This is delicious! I ran out of garbanzos so this recipe is exactly what I needed! Perfect amount of spice and creaminess. It was a little thick in the VitaMix. I added several tablespoons of water and it came out smooth. Will make again! Thanks for sharing! 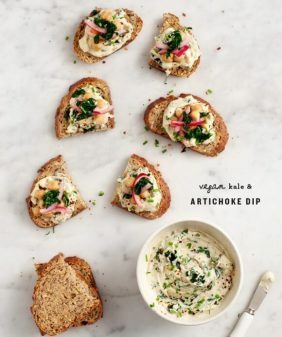 I made this dip and the taste is fantastic….but I wonder what I did wrong. I doubled the recipes since I wanted to make it for a crowd at Thanksgiving but it came out soupy…not thick at all. And because it said if it’s too thick add water I thought it would have come out much thicker. Now I don’t t have enough cooking experience to know how to thicken it up. I put it in the refrigerator and hope by tomorrow it’ll thicken up. We’ll see. Thank you for a great tasting recipe! I did drain the lentils of all the water so I wonder what made it so thin. Thanks for your help on this. Hi Jeanette, ooh, oh no… are you sure you doubled the lentils and drained them well? I’ve never had this one come out thin… my suggestion would be to cook a few more lentils and blend them in.